Do you own property in Lithia Springs, GA that you’ve rented out to someone, and now you want them evicted? Evicting uncooperative tenants can be a nasty business and it may sometimes involve long, protracted legal battles. Community Locksmith Store is a professional locksmith in Lithia Springs, GA that you can trust to replace or rekey all the locks on your property. We have handled a lot of eviction service jobs in the past – we know how they work and we always respect your privacy while we do our jobs. 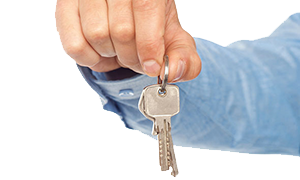 Community Locksmith Store offers its professional eviction service to Lithia Springs, GA 24 hours a day, 7 days a week. Call us today on 770-325-1290 to talk to our friendly customer service representative!